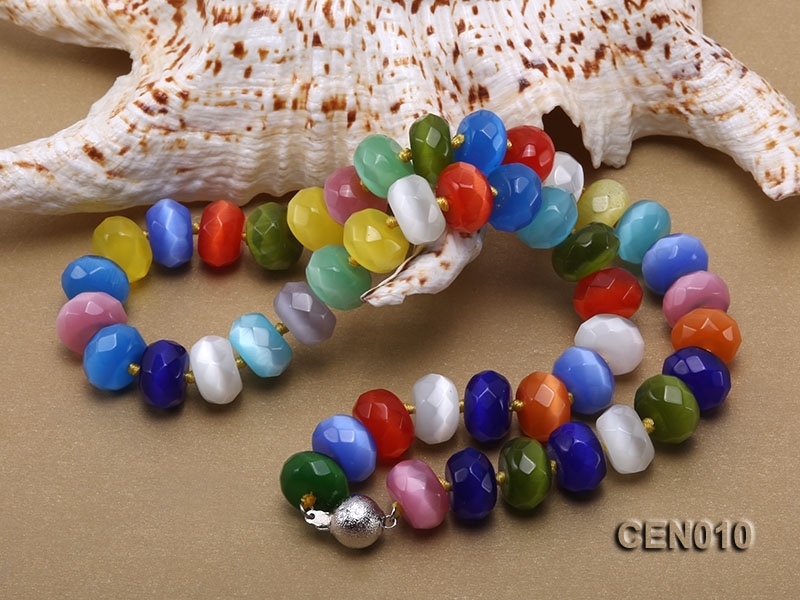 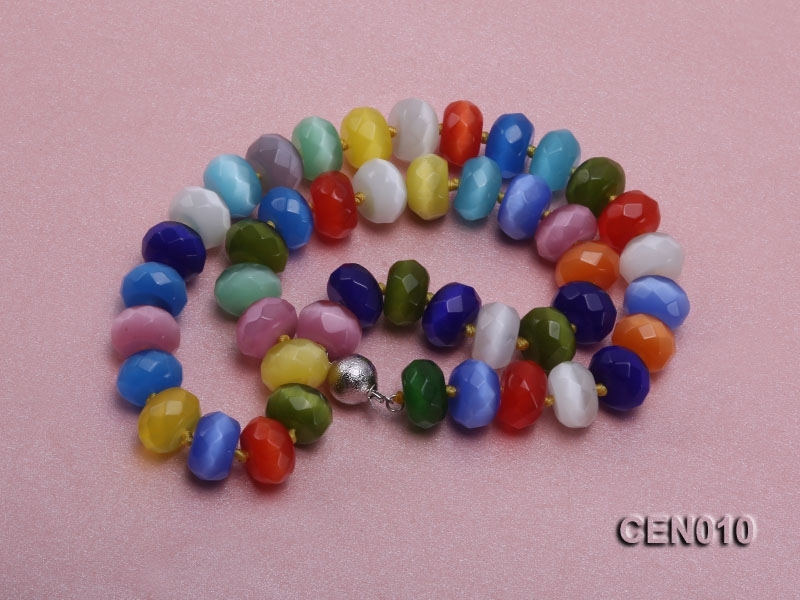 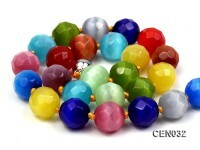 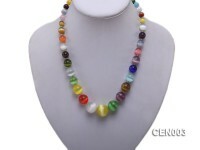 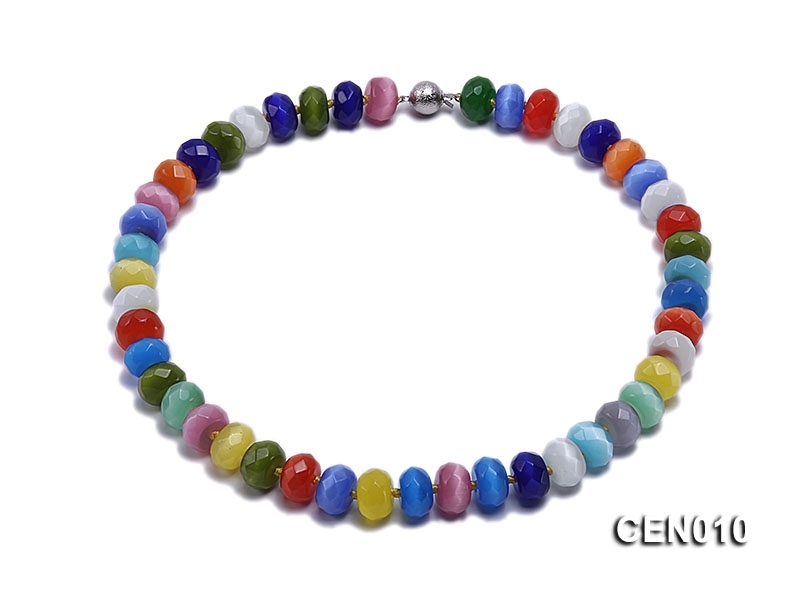 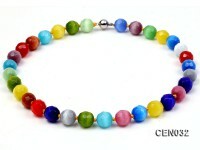 Charming cat’s eye necklace made of 9.5mm multi-color flat faceted cat’s eye beads. 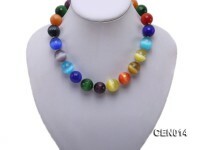 The necklace has a length of 18 inches and is ended with an argent gilded ball clasp. 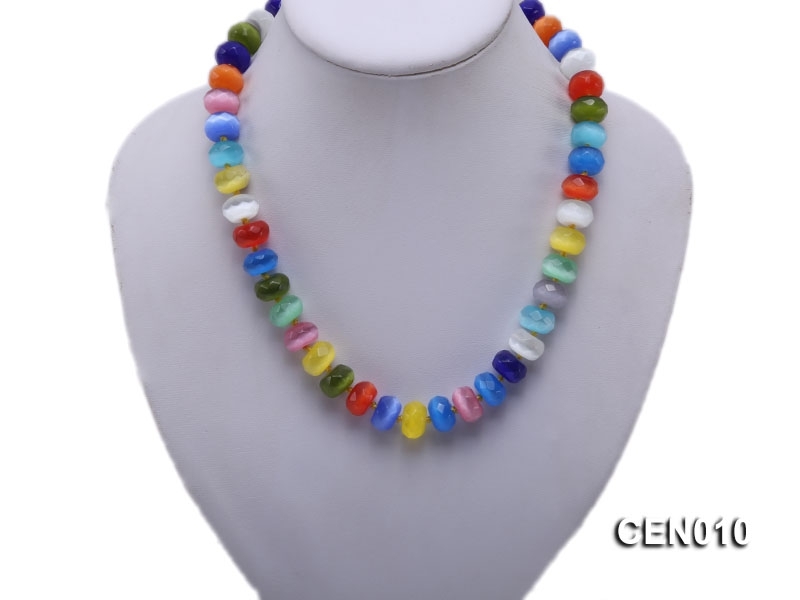 This necklace is professionally hand-knotted, which can not only protect the beads from scratching each other but also make the necklace look nicer. 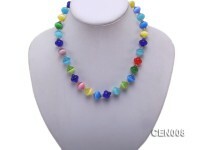 This necklace enjoys a very good quality, beautiful colors and a simple and elegant design. 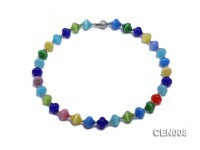 Cat’s-eye refracts light and provides a distinctive shimmer. 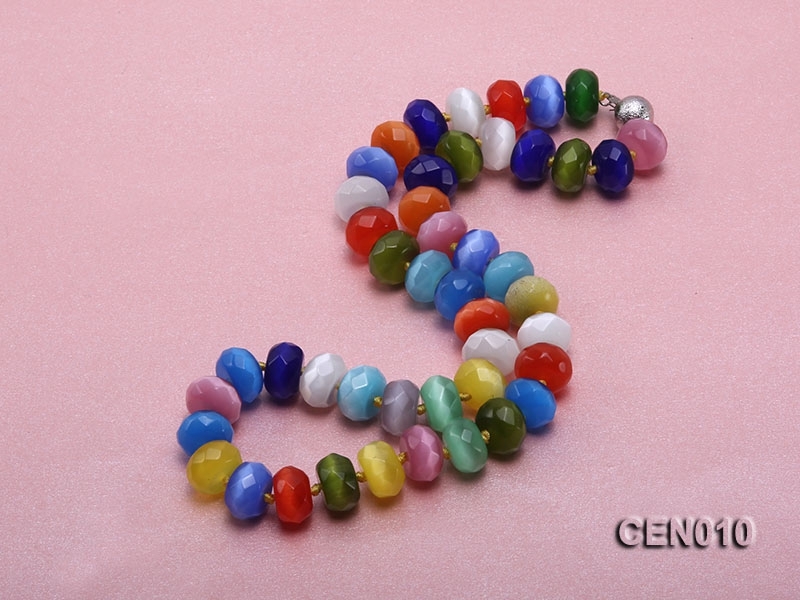 It has a luminous line that bisects it from top to bottom and moves from side to side as the stone is turned. 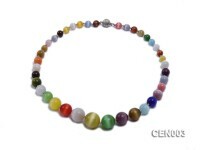 The benefits of cat’s eye stone include enhanced wisdom and intellect. 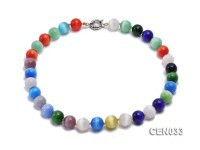 It is also known to bring materialistic comforts of life in the form of immense wealth in the wearer’s life. 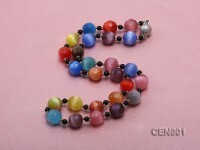 Cat’s eye stone safe guards its wearers from accidents and evil plans. 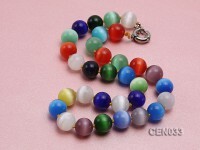 It also saves people from physical weaknesses, impacts of evil spirits and mental imbalances. 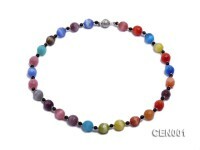 The effects of cat’s eye Gemstone allow people to get in harmony with others and accept their own self. 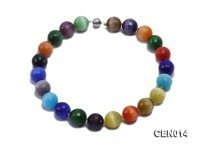 It helps to stabilize emotions, enhances senses and improves people’s abilities to deal with challenging situations.